Trion Worlds announced today that Alcatraz, the next major in-game update for the free-to-play interconnected video game and TV series Defiance, is now live. 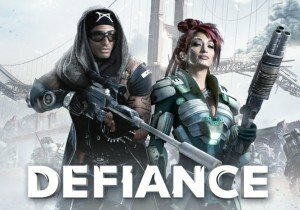 Ahead of the Defiance television SyFy show’s season 3 premiere, the “Alcatraz” content update sees Ark Hunters migrating west in search of a new beacon of salvation. The Rock, a now prison-turned-island-base and symbol of authority, has become a hub for daring Expeditions and raids against threats all across the New Frontier and beyond, and it’s up to players to battle deep into this new staging territory against Votan and humans alike. Defiance’s Alcatraz content update adds brand-new features to the game, including the all-new Expeditions feature, allowing players to participate in a gauntlet of co-op matches against increasingly tough enemies for even greater rewards. Players will also be introduced to Cyber Rigs, systems that augment players’ natural abilities and allow further customization and upgrades to weapons, shields, vehicles and more via the use of Cyber Chips. More updates from the Alcatraz update are outlined in a preview post on the Defiance blog here.